OLD PARKED CARS. : 1988 Volkswagen Fox GL Wagon. 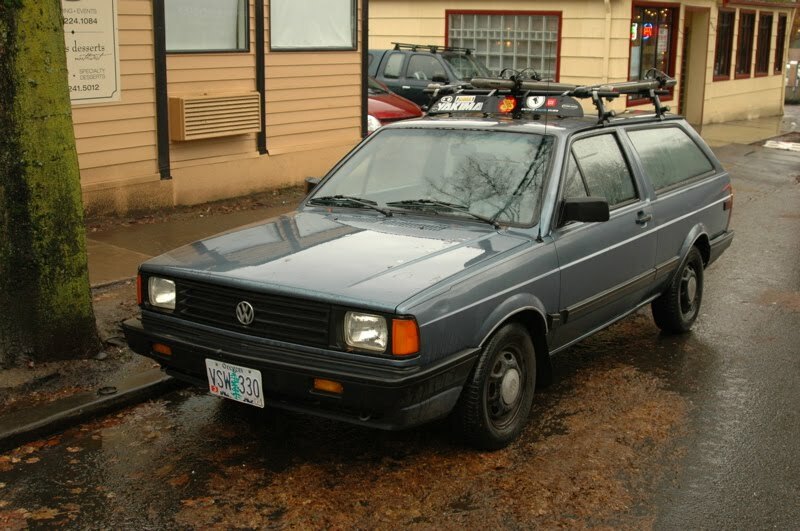 1988 Volkswagen Fox GL Wagon. "best thousand dollars i've ever spent," said the owner. what a color combo, dark gray, black steelies, and center caps. i even love the rack. yes. no chrome anywhere, just a few dull silver plastic emblems. 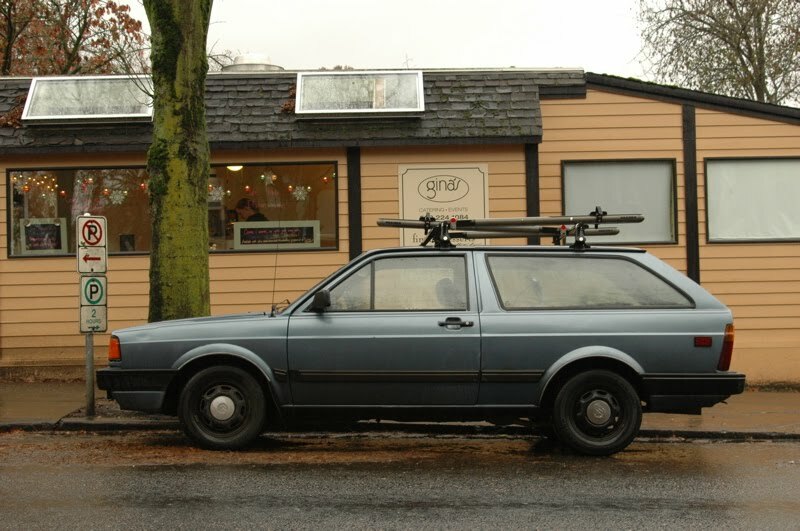 Passat? 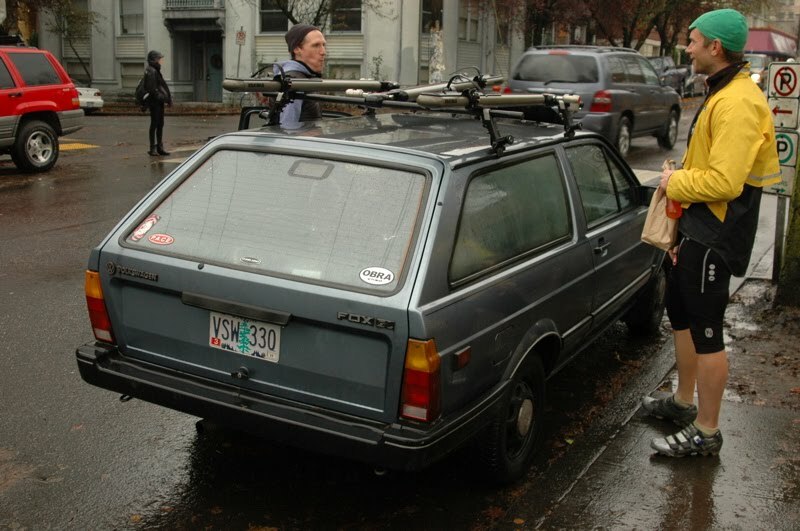 I'm pretty sure it is a Jetta wagon! Trucklet?! That's gotta be the best word I've heard in quite some time. Post a pic or I don't believe it. I continue to be amazed at how many comments the 80s VWs get, makes me appreciate them more and more. Hello I'm from Brazil, she called VW Parati here! 80's Fox wagon? Sweet! I had one that was a nice bright red. 4spd. sweet car 'kept smelled like cat piss when it rained...not good.